Ladies and gentlemen, boys and girls, step right up and witness, with your very own eyes, the wonton cruelty and disregard that can be heaped upon innocent cardboard by your fellow man and the Creator himself. See the corners rounded beyond the realm of imagination. 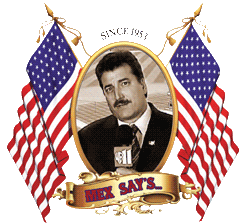 See the creases running through the faces of heroes of yore. What monsters hath wreaked this havoc upon these gems of cardboard-dom with scant regard for book value? Look around you, my friends, for it could be any one of us. Feast your eyes upon the oddities that would have Dr. James Beckett spinning in his grave, were he counted among the deceased. 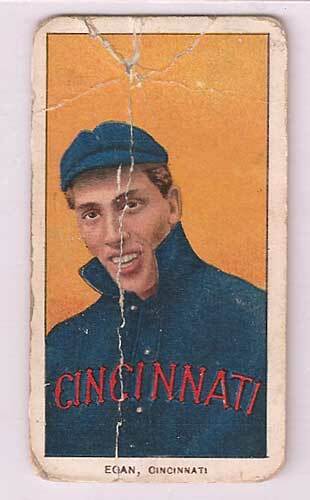 Mr. Richard Egan of the Cincinnati Redlegs presents several classic cardboard maladies all in one go. 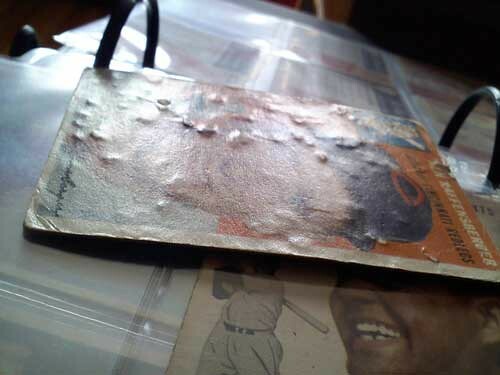 You can clearly see the rounded corners that have plagued the card collector from time immortal. 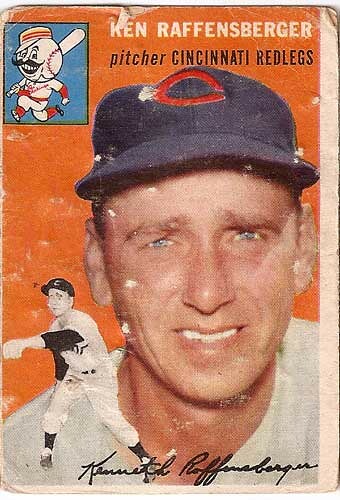 He also exhibits several frightful creases radiating out from his top center, one of which has run down the entirety of the card, bisecting the face, and some would say the very soul, of the subject. How much misfortune can be heaped upon one card, I ask you? Not for the squeamish. 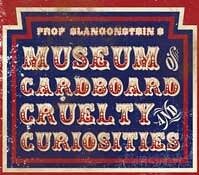 If you dare, feast your eyes upon one of the biggest mysteries in the annals of collectable cardboarddom. 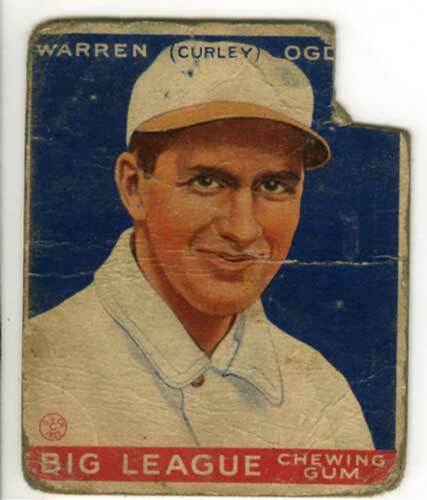 As if it weren’t enough that Curley Ogden already suffered from several more mundane maladies, at some point in his 70+ year existence, someone deemed it necessary to cut the top right hand corner off of him, forever denying him of his former grandeur. I defy you to formate a hypothesis as to why this was done. Mindless violence towards innocent cardboard is never acceptable in civilized society. I give you Kenneth Raffensberger, the man for which this particular malady was named. Behold, the Raffensberger Rash. Some say we are surrounded by the souls of those who have moved on. Some say those souls are trying to communicate with us, and sometimes that communication takes place in cryptic ways. 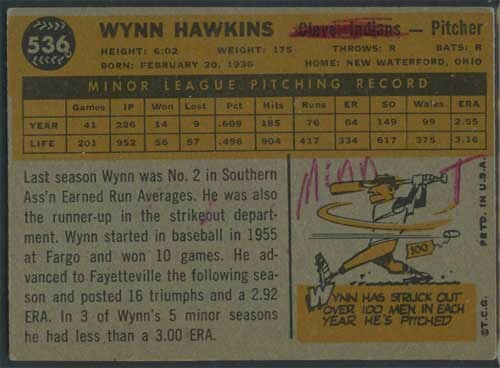 I present for your consideration the back of this 1960 Wynn Hawkins card. Some lost soul has scratched out the name “Cleveland Indians” and mysteriously written in “Minn. T”. 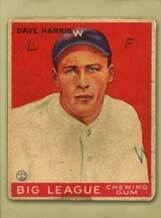 Wynn Hawkins was never traded from the Indians to the Twins, however. Mysterious. 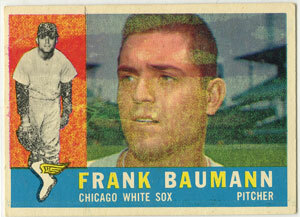 Frank Baumann is not like you or I. Frank Baumann was born in a cloud of toxic gas. If he were to breathe in the freshness of a seaside breeze he would die as sure as if we sucked on the business end of a tailpipe.